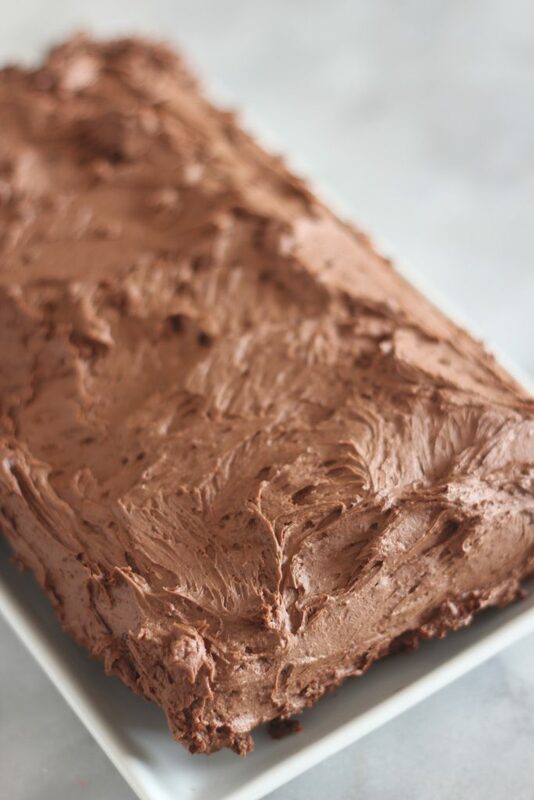 Make this rich, low carb chocolate torte and top it with a delicious low carb mocha buttercream frosting. When I was young my grandmother would make a hazelnut torte with mocha buttercream frosting. She would grind up the hazelnuts in her coffee grinder and it was our cake for every birthday. My mom and I loved the mocha buttercream so much that grandma would hollow out the cake and put a ton of buttercream frosting inside. It was so good. 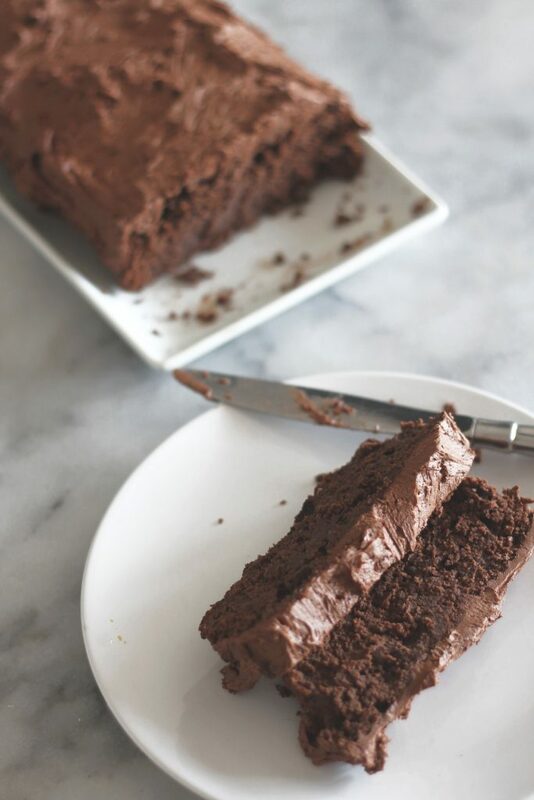 This low carb chocolate torte is different from traditional cakes. Do you know the difference between a cake and a torte? I didn’t, I had to look it up. A torte is traditionally made with ground nuts or breadcrumbs. In this recipe, there is no rising agent, so it isn’t as light as a traditional cake. But it is rich, moist and chocolaty. I did find that it wasn’t as sweet as I prefer a chocolate dessert, so in the future I will add more sweetener to the recipe. That being said, the frosting was plenty sweet! 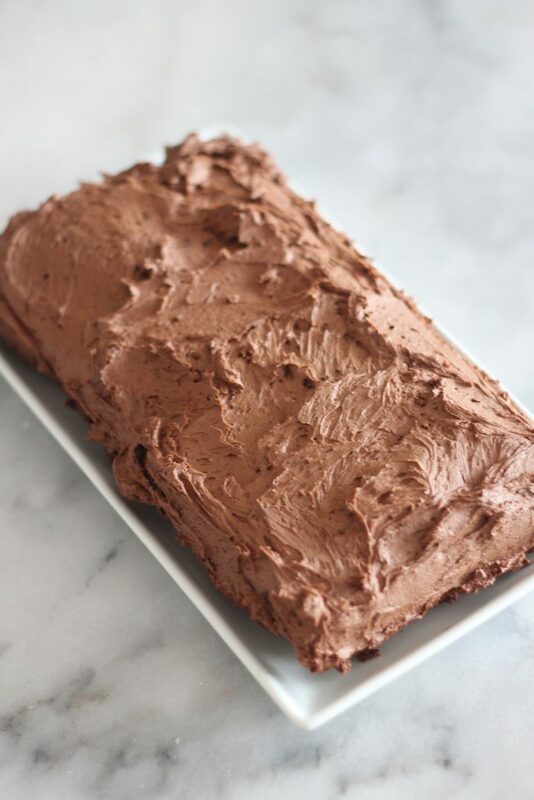 Grease a loaf pan and sprinkle cocoa powder on the inside, shaking off the excess. 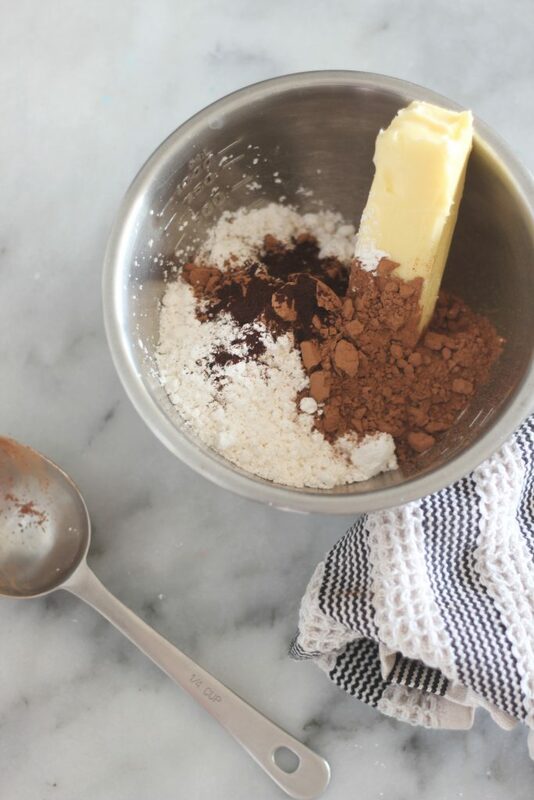 Combine almond flour, cocoa powder, coffee powder and salt in a small bowl. On the stovetop on low, melt chocolate and butter, stirring until smooth. In a large bowl, beat eggs, sweetener and vanilla with a mixer for about five minutes, until the color has lightened and the mixture appears frothy. 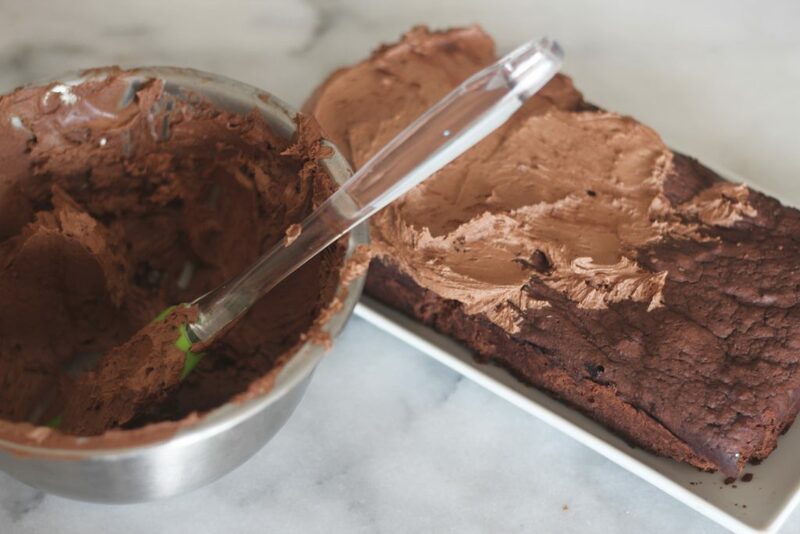 Fold melted chocolate into egg mixture, and add dry ingredients until combine. Pour batter into loaf pan, and bake for 30 minutes. Check with a toothpick to make sure it is baked in the middle. If not, bake a few minutes longer. Once baked, let cool in pan for 5 minutes, then remove from pan to cool on a wire rack. The erythritol from the chocolate chips and sweetener was not calculated into the carb count. Mix ingredients with mixer until light and fluffy. If needed, add more Swerve confectioner. Sounds and looks amazing!!! I love coffee flavor in sweet treats! The low carb aspect of this is incentive too! This sounds wonderful, I love that it’s frosted! Low carb you say :)? Looks absolutely delicious. Love the use of almond flour and coffee. So glad you shared it at the Fiesta Friday party! This is a lovely Torte it looks delicious! Hope you are having a good week and thanks so much for sharing with us at Full Plate Thursday! Something for the people that can’t have sugar! Awesome! Thanks for sharing this at Home Sweet Home and have a Merry Christmas!